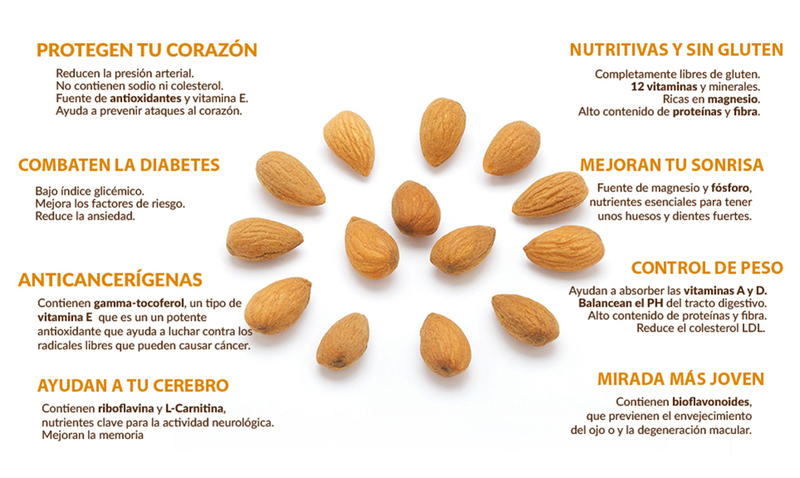 Almonds have a great number of benefits for the health. They are key elements in a balanced diet that may help to improve vital energy and physical appearance. For instance, almonds reduce risk of heart dissease and strengthen bones. 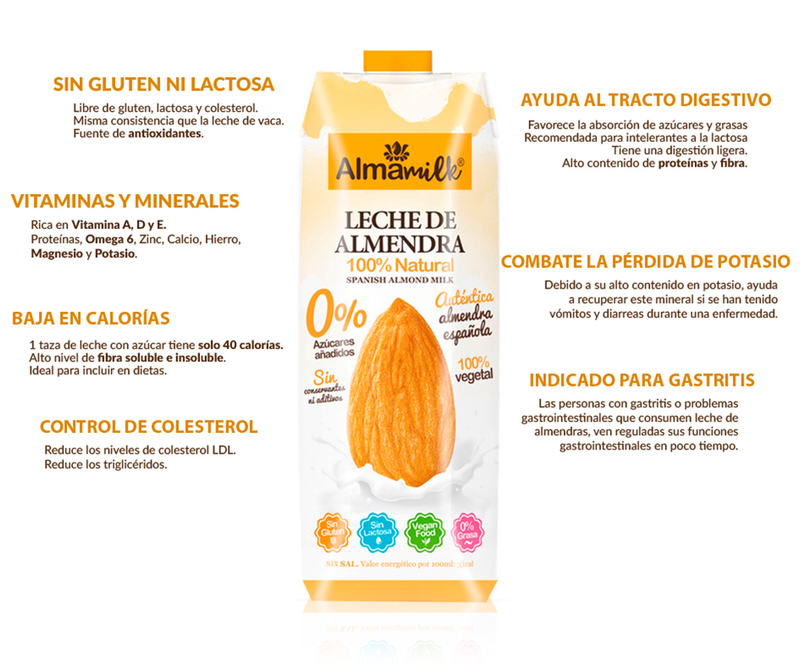 Almond milk is one of the most suitable foods to loose weight due its low fat contents. Given it is gluten-free, it is lighter than diary milk. If you do sport, almonds can be an important element in your work out. Almonds are high in healthy fats, that's why almonds are higly recommended for the diet of athletes. Almonds also contribute to increase endurance performance.